The little town of Albany has some big things to see. One weekend in September will see the secluded village of St Albans – nestled on the upper reaches of the Hawkesbury – become a dynamic cultural hub. A small festival now in its third year, its program is eclectic. Here’s our pick of the bunch. 1. Simmone Logue: Dinner with the writers Catering guru Simmone Logue will cook up a storm, while a selection of writers on the festival bill discuss their favourite food writing. 2. 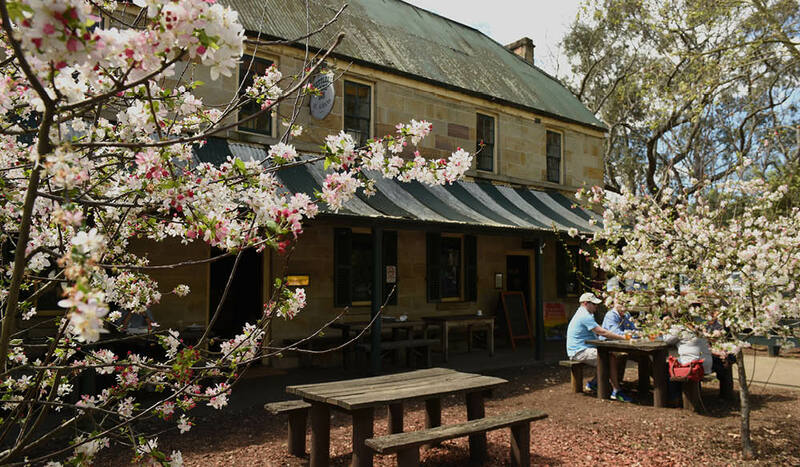 The 1836 Dinner At the heart of historic St Albans is its convict-built pub, the Settlers Arms Inn, which was first established in 1836. Considering what might have been eaten at the inn during that time, Jacqui Newling, Sydney Living Museums’ gastronomer, has created an authentic menu for guests to tuck into, and will give historical insight before and during the dinner. 3. Festival Film Night: Mad Max: Fury Road Director George Miller will introduce a screening of his film Mad Max: Fury Road and take part in a Q&A session. Simmone Logue is on picnic dinner duties. 4. George Gittoes: Blood Mystic In support of his autobiography, Blood Mystic, artist George Gittoes will tell tales of his colourful life. From his childhood in Sydney and experience working with Andy Warhol in New York, and from creating Sydney’s Yellow House with artist Martin Sharp to his latter-day work as an eye witness in the world’s conflict zones, he’ll share all in conversation with Catherine du Peloux Menagé. 5. Madeline Gleeson: Behind the wire on Manus and Nauru Lawyer and author Madeline Gleeson speaks to Michael Brissenden about her book, Behind the wire on Manus and Nauru, and research, which examine what has been happening on Manus Island and Nauru since offshore processing began, and what life in these centres is like for asylum seekers. More information: Go to St Albans writers festival for more!